Is The Nobel Prize A Boys Mostly Club? Since the Nobel Prizes were established in 1901, more than 860 people and organizations have been awarded a Nobel Prize. Yet, just 44 of those prizes have gone to women. Many experts say a history of discrimination in the sciences is likely the cause. Is The Nobel Prize A Boys Mostly Club? As the last of this year's Nobel Prize winners are announced and media focus shifts away from Sweden, two things are clear about the winners. One: They have all done laudatory work in their respective fields. Two: Aside from the European Union, which was awarded the Peace Prize, all of this year's Nobel laureates are men. They join the ranks of hundreds of people who have received the awards over the past 111 years. But what is surprising about the list of Nobel laureates is just how few women are on it. In 1901, Alfred Nobel's will set up funds for five prizes that celebrated great achievements in the fields of chemistry, physics, physiology or medicine, literature and peace work. A sixth prize, the Sveriges Riksbank Prize in Economic Sciences in Memory of Alfred Nobel, funded by Sweden's national bank in 1969, is not technically a Nobel, but it's generally counted as one. 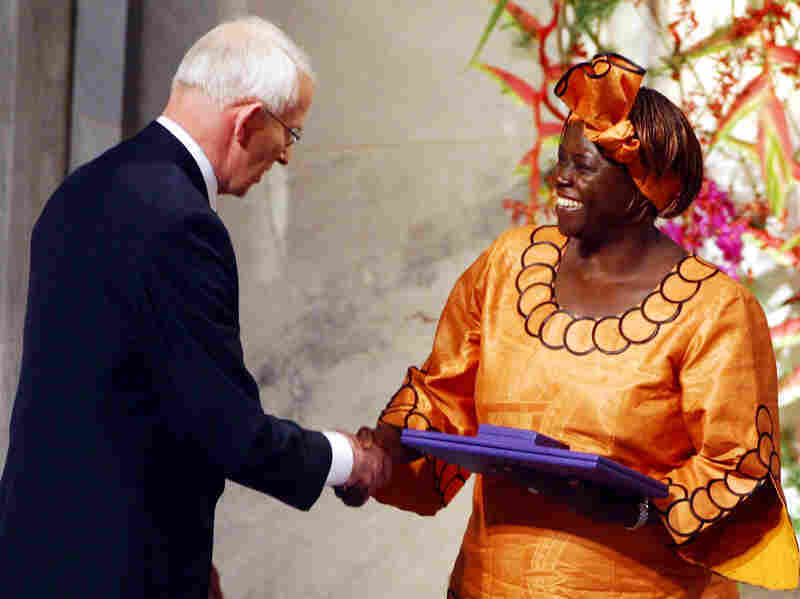 Nobel Peace Prize Laureate Wangari Maathai became the first African woman to win a Nobel in 2004. Part of the reason for this is that three of the prizes are for science, and the sciences have not always been friendly to women. Sharon Bertsch McGrayne, who wrote Nobel Prize Women in Science: Their Lives, Struggles and Momentous Discoveries, says anti-nepotism laws in the U.S. actively prevented women from working at the same universities where their husbands worked until 1971. Half of female scientists in the U.S. were married to other scientists in the middle of the 20th century, which meant they may not have had access to laboratories. "It was especially damaging for scientists because they couldn't work in a library or at home at the kitchen table," McGrayne says. "We're not talking about subtleties. When an institution wanted to hire a woman who was married to one of their scientists, they had to get an order of Congress." Some women did find ways around the rules. Maria Goeppert Mayer, who won the Nobel Prize for physics in 1963, worked as a volunteer professor until she received the award. Gerty Cori, who split the 1947 Nobel Prize for chemistry with her husband, was an unpaid lab assistant at the time. Some women remained single, but many were given heavier teaching loads, which prevented them from doing research, McGrayne says. Europe was not much better for women in science, at least in the first half of the 20th century, says University of Oslo historian Robert Marc Friedman, who wrote The Politics of Excellence: Behind the Nobel Prize in Science. He says women faced barriers to entering higher education, especially at elite institutions that offered the resources to do the cutting edge science that could get them nominated for the prize. "Certainly in the first 50 years [of the prize] there were very few women proposed," Friedman says. "There were few women candidates because there would have been fewer women with access to the best institutions and positions." Beyond not being able to do the science, Friedman says it also meant women didn't get the networks of colleagues who had the right to nominate and promote their work among the prize committee members. Even though women were largely limited from entering the sciences, women still earned prizes, mostly in literature and peace categories. Danny Dorling, of the University of Sheffield in England, says that women have been receiving the awards since the first years of the Nobel Prizes. In the 1940s, women took a higher percentage of the prizes — 8 percent — than in any other decade before 2000. Women took 9 percent of the prizes between 2000 and 2009. "If you looked in the 1940s, you'd have thought there was some slow but gradual progress," Dorling says. "Then it really collapsed after the war." Between 1948 and 1962, a number of women were nominated, Dorling says, but none were chosen. As the Cold War was settling in, he says, the committees opted for strong men. 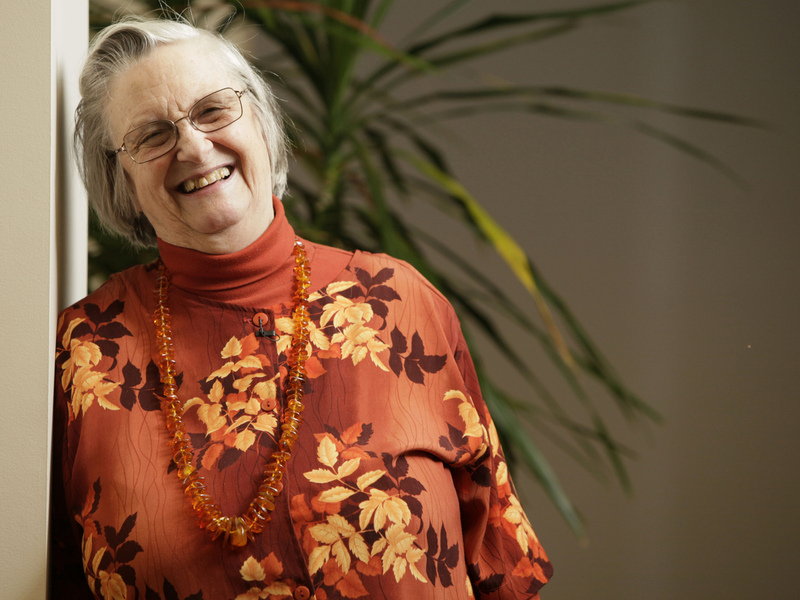 In 2009, Elinor Ostrom became the first woman to win a Nobel Prize for economics. "The Cold War was a massive thing in people's mind," Dorling says. "And we did think a third world war was likely, and we were on the brink, so it made sense to pick the strong men and do the macho thing." Stephanie Kovalchik, a statistician at the National Cancer Institute who crunched the numbers for an article in Significance magazine, says that up until the 1970s, women's Nobel Prize wins in the sciences overall kept pace with their participation in the fields. It's after the 1970s, Kovalchik says, that a gender gap emerged in Nobel Prize awards. As women's participation in the sciences began to grow at a faster rate, the Nobel Prizes did not keep up. "It would suggest that there's more evidence in more recent decades of a bias in the sciences than in earlier decades," Kovalchik says. Sven Lidin, chairman of the chemistry Nobel committee, calls the number of women who have received the prize in the sciences "discouragingly small." In the sciences, he says, the prizes are often awarded for discoveries that are made decades before, because the committees need that time to make sure the work is truly prize-worthy. "I think when you look at the balance of science today, it is quite different than it was 30 years ago if you're looking at the gender issue," Lidin says. "Which means that when we are awarding things that were done 30 years ago, we are awarding a society that is very different than the one that is seen today." Göran Hansson, secretary for the committee for the Nobel Prize in physiology or medicine, says that women's contributions to science in later years are increasingly obvious in his field. "I looked at prize statistics for medicine, and in the last 30 years we had eight laureates. Good, but not impressive," Hansson says. "In the last 10 years, we had four, so clearly an increasing proportion, which reflects that more women are going into the sciences and making fantastic careers." But to be considered for a Nobel, you have to be nominated. In that numbers game, women are still being cut short, says Mary Ann Liebert, who founded the Rosalind Franklin Society to secure more nominations and awards for women in the sciences. "Men tend not to nominate them, and women don't nominate themselves," Liebert says. "Women scientists have to be more assertive in seeking nominations. I think that's a major issue. And I think men have to put women's names into nomination, too." Women also have an uneven history with the Peace Prize. Overall, more women have received that award than in any other category. "Women got the Peace Prize right at the beginning," says Judith Hicks Stiehm, author of Champions for Peace: Women Winners of the Nobel Prize for Peace. "There was a contessa — Bertha von Suttner — who was actually the woman who persuaded Nobel to establish the peace prizes." Then, the numbers dropped off until the 1970s, when women started to be awarded the Peace Prize with increasing frequency, Stiehm says. She thinks the committee was trying to send a message. "One is that they began to realize the people who really worked for peace were not the [men] who were in charge of armies in places, so more women generally," Stiehm says. "Then it's also really clear that recently they'd really wanted to make a point to get people who weren't Europeans. 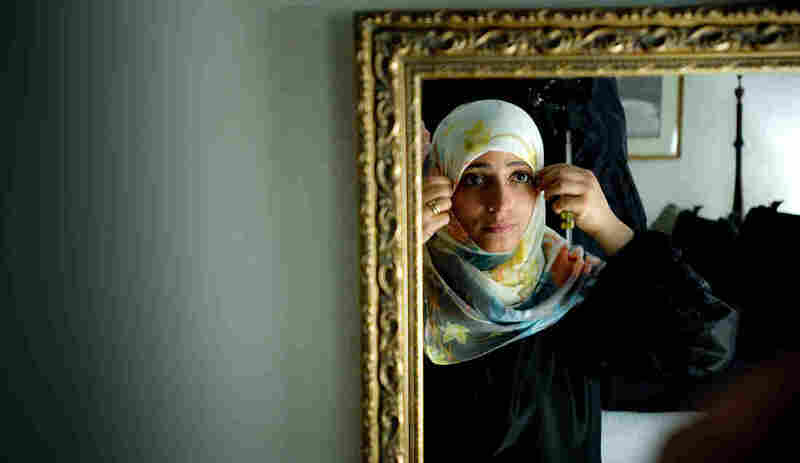 If you look at the recent women, you have Yemen, Guatemala, Iran, Liberia, Kenya." People from developing nations, specifically, are few and far between in the ranks of the Nobels. Americans, Canadians and Europeans make up more than 90 percent of the laureates. Chemistry prize committee chairman Lidin says it is a matter of time before the big investments in science that China and India have made in recent years will pay off. But he says that might come with a price. "We are still, I think, waiting to see the promotion of women in science in these countries," Lidin says. "So while I welcome and applaud the scientific initiative in these countries, it's probably not going to help us finding more female laureates."